Released on 2 April 2019 and is now the current version of Visual Studio. the Visual Studio 2019 licensing sold by MicroWay includes rights to use v2017 (or an older version). If you have questions, don't hesitate to contact MicroWay for assistance. With Visual Studio 2019, you'll get best-in-class tools and services for any developer, any app, and any platform. Whether you're using Visual Studio for the first time or you've been using it for years, there's a lot to like in this new version! Develop: Stay focused and productive with improved performance, instant code cleanup, and better search results. Collaborate: Enjoy natural collaboration through a cloud-first workflow, real-time editing and debugging, and code reviews right in Visual Studio. Debug: Highlight and navigate to specific values, optimise memory use, and take automatic snapshots of your application's execution. 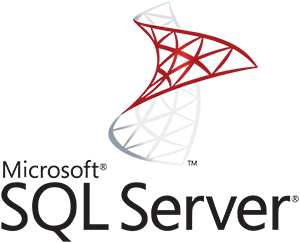 MicroWay can assist you with licensing for older versions of Microsoft SQL Server. Contact MicroWay for details and a formal quote. Build intelligent, mission-critical applications using a scalable, hybrid database platform that has everything built in—from in-memory performance and advanced security to in-database analytics. The foundation of Microsoft's comprehensive data platform, SQL Server delivers breakthrough performance for mission-critical applications, using in-memory technologies, faster insights from any data to any user in familiar tools like Excel, and a resilient platform for building, deploying, and managing solutions that span on-premises and cloud. SQL Server 2017 makes it easier and more cost effective to build high-performance, mission-critical applications, enterprise ready Big Data assets, and BI solutions that help employees make better decisions, faster. These solutions have the flexibility of being deployed on premises, in the cloud or in a hybrid environment, and can be managed through a common and familiar tool set. Looking for Microsoft WINDOWS Server 2016? MicroWay can assist with older versions of Microsoft WINDOWS Server. Windows Server 2019 is the operating system that bridges on-premises environments with Azure, adding additional layers of security while helping you modernise your applications and infrastructure. Extend your datacentre to Azure to maximise your investments and gain new hybrid capabilities. Elevate your security posture by protecting the datacentre, starting with the operating system. Enable the creation of cloud-native apps, and modernise traditional apps using containers and microservices. Evolve your datacentre infrastructure to achieve greater efficiency and security. For further information please call MicroWay on 1300 553 313 or email.